The classroom is a sanctuary for intellectualism, discussion, teamwork, bravery, personal expression, and above all, hard work. In my classroom, I challenge all students to Be Positive, Be Courteous, Be Strong, because these are the aphorisms I task myself to achieve. I encourage students, no matter the situation, to ask themselves how they can Be Positive, Be Courteous, Be Strong. To succeed at your fullest potential, make sure you are meeting these expectations of Be Positive, Be Courteous, Be Strong. 1) Be Positive by reflecting deeply and thinking with a growth mindset. Apply the feedback you get in future learning. Be a resourceful and resilient problem solver. Set and pursue goals for growth. 2) Be Courteous by having a respectful social attitude. Collaborate well and contribute ideas. Respect yourself and the school community. 3) Be Strong by being a responsible and self-managing student. Hand in work on time. Be ready to learn with all necessary materials. Take initiative by asking for assistance, clarification, or extension. In 2013, I listed ways that someone might Be Positive, Be Courteous, Be Strong. The result was half speech and half poem. Here are a few pages to post of the walls of a classroom. 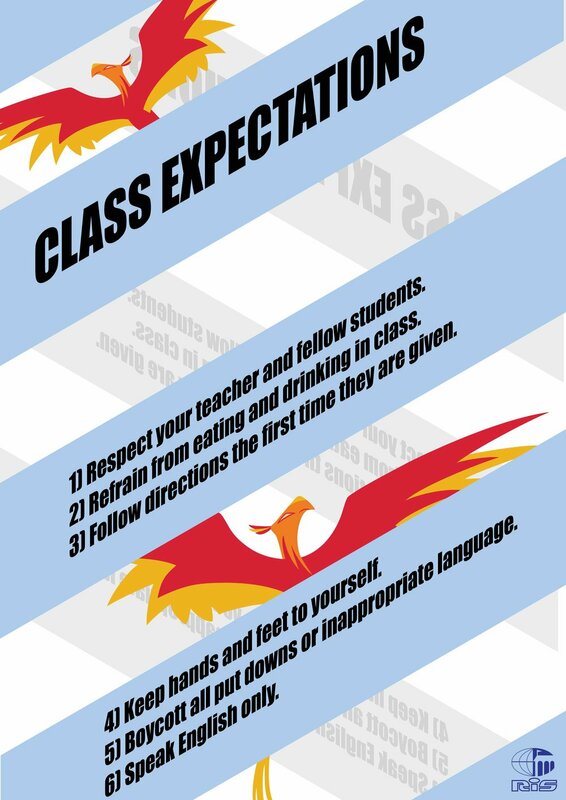 In 2016, I created these posters to give students a better idea of what to expect in class. Each year, we define what falls under the categories “Be Positive,” “Be Courteous,” and “Be Strong” and sign a pledge. Be Positive, Be Courteous, Be Strong is the classroom's guiding philosophy, but if you would like to see a more detailed break down of what I expect from the classroom, then I would suggest looking at the behavior plan. I break down the class day into three major sections with a checklist for how to properly approach class time according to the principles of Be Positive, Be Courteous, Be Strong. All students are expected to follow these expectations starting day one, but if a student needs extra reinforcement, then we can use the behavior plan to make sure that we have the strongest educational environment of the classroom possible.